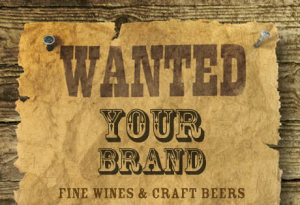 In addition to their original Belgian White variety, Blue Moon Brewing Company offers Blue Moon Summer Ale, renamed Honey Moon in 2006. According to the bottle, “This ale is brewed with clover honey, orange peel, pale malt, and malted white wheat.” This ale was a first place winner in the Specialty Honey Lager or Ale category at the Great American Beer Festival in 2006. Honey Moon contains 5.2% alcohol by volume in a standard 12 fluid ounce bottle. During the autumn months, Blue Moon provides Blue Moon Pumpkin Ale, renamed Harvest Moon in 2007. This variety contains the flavors of pumpkins and other autumnal spices. Harvest Moon is typically available in bottles from mid-September through December. It contains 5.7% alcohol by volume in a standard 12 fluid ounce bottle. Blue Moon offers Blue Moon Winter Ale during the winter season. Its name was changed to Full Moon with the subtitle “Blue Moon Winter Ale” in 2007. It is described on the bottle as a “winter seasonal ale that blends three varieties of slow roasted malts and multiple hops to deliver exquisite aroma and taste”. It is brewed with natural flavor and a caramel color. Full Moon contains 5.6% alcohol in a standard 12 fluid ounce bottle. 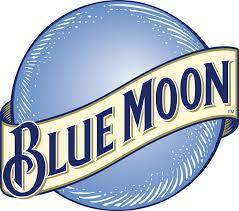 In spring, Blue Moon provides Blue Moon Spring Ale, renamed Rising Moon. The back of the bottle reads “Celebrate the end of winter with Blue Moon Spring Ale. This smooth, balanced ale is brewed with three varieties of specialty malts and an infusion of fresh Kaffir lime leaves and lime peel to bring out the freshness of spring.” In 2011 the recipe was changed removing the Kaffir lime leaves. The new recipe focuses more on orange and lemon peel to add the citrus flavors. It addition to its seasonal brews, Blue Moon released a pale ale called Pale Moon in 2008, with filings commenced to create a Pale Moon Light.